Is this sitting long enough? Come on! I’m ready for action! 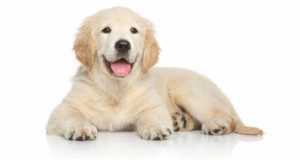 Continuing with my Golden Retriever obedience training series, this article concentrates on how to train a Golden Retriever to sit. 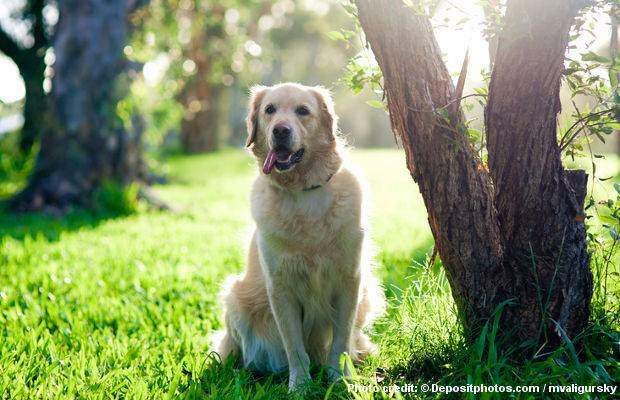 The sit command is one of the easiest yet most useful commands you can train your Golden Retriever and is the best place to start as the first thing you teach them. This is because it’s a nice and gentle way to ease both yourself and your puppy into the practice of training. Your puppy can easily succeed which will build their confidence and leave them excited to do more training. And it paves the way for a relationship where your dog is happy to work with you after experiencing early, the joys and praise of success. 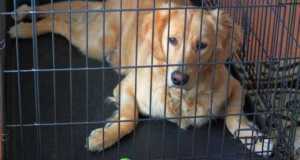 Training your Golden Retriever to sit is a relatively easy thing to do. I’m sure absolutely everybody can achieve success when following the simple but proven techniques from this article. There’s a total of 3 techniques I’m going to discuss for you to train a sit: Luring, capturing and if all else fails, gentle physical coercion. I’ve chosen to discuss these 3 techniques as they’re the ones I’ve used myself. 1 What Makes The Sit Command So Useful? When Can It Be Used? What Makes The Sit Command So Useful? When Can It Be Used? To sit when greeting people so they don’t jump up. To sit and wait before crossing any road. To sit and wait patiently before giving any food or treats. To sit and wait before climbing stairs or going through doors, leaving the way clear for people to safely go first. To stop where they are and root them to one spot when off leash. This has MASSIVE safety implications. The power and usefulness of being able to get your dog to stop and stay in one spot with a single command cannot be overstated and will serve both you and your dog very well throughout life. For the first few training sessions with any new command, make it as easy as possible for your puppy to concentrate and succeed. Start alone at home in a familiar room, with no distracting pets, people or noises of any kind. Once mastered in this simple setting only then should you generalize and proof the command by training in different environments and adding in distractions. To prevent boredom and your puppy losing interest, Keep your training sessions short. 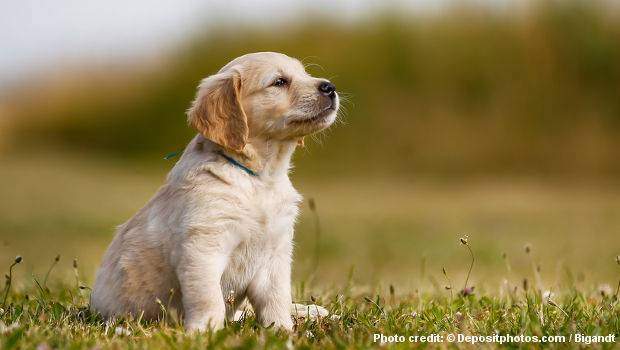 For a very young puppy, just 3 to 5 minutes a few times per day. Once your puppy has matured, you can increase this to 10 to 15 minute sessions 2 to 3 times per day. Always speak your cues and commands in a quiet, warm but firm tone of voice. A dogs hearing is vastly superior to ours, so there’s no need to shout. Speak firm so it puts across authority, don’t make it sound like a question. You want to say ‘SIT!’, not ‘Sit??’. But although firm, keep your voice warm and in a medium pitch. Don’t go low and loud as this can sound threatening. Try to keep the training fun, with lots of praise and reward. It shouldn’t feel like hard work for either of you. Always finish before your puppy gets bored and stops responding, or fails to successfully earn their praise and reward. Finally, finish on a high note so your puppy looks forward to the next session and doesn’t leave with a bad taste in their mouth from the training experience. Not all techniques work for all dogs. Therefore I’m going to describe three techniques that you can use. The best, easiest and most efficient technique to use is ‘luring’ with a treat. If for some reason this fails, there is the technique of ‘capturing’. Finally, if all else fails you can use a little physical coercion as a last resort. Let’s go through each method one by one. Step 1. make sure you have a supply of small, high value food treats. Hold the treat in your hand, just in front of your puppy’s nose so they can smell it, know it’s there and you have their attention. Step 2. Arch your hand up and over your puppy’s forehead while holding the treat just a couple of inches away so they have to look up and raise their nose to follow the treat. You have to get the distance of the treat right as too high and your puppy will jump, too low and they will back up instead of look up. Step 3. Keep moving the treat upwards and backwards over your puppy’s head and as their eyes and snout go up, their head will go back and your puppy will naturally fall into a sitting position. Step 4. As soon as your puppy’s bum touches the floor, say ‘SIT!’, give them the treat and some praise. The timing is important here. You want to say ‘SIT!’ the very moment their bottom touches the floor, and only give the treat if they’re still sitting. If they bounce straight up and you praise and reward them, they will think it’s standing up that got rewarded. So if they rise, lure them back into sitting before giving the treat. Step 5. Once you have your puppy sitting reliably by luring them with a treat, leave the treat in your pouch or pocket and lure them with an empty hand while using the ‘SIT!’ command. Then give them the treat from the pouch or your pocket. We do this to get away from the fact that they are only following the treat and so they don’t know where the treat is coming from. Step 6. Once they can do this, lure them with your hand much farther away but empty, again giving the treat from your pouch or pocket. Step 7. Finally, if you’re going to start using hand signals (and I recommend you do) you want to try adding in the signal at the same time as the command. The hand signal for sit has you with your hand at your side, palm facing forward and you raise your hand until parallel with the floor with your palm facing upwards. You’ve been luring your puppy with a movement of your hand going upwards over their head. Now you are mimicking this at distance, with the sit command added. It’s not too different so they should very quickly catch on. Capturing is a technique used a lot in clicker training. But it works equally well with your voice if you time it well. Capturing is used to train a behavior that your dog performs frequently anyway and you just wait for the dog to offer the behavior, and then click and treat (C&T). Or in our case, say ‘SIT!’ and throw a treat. What you do is just wait around quietly and calmly, doing nothing and ignoring your puppy but watching them intently. When they move into a sit position, the moment their bum touches the floor, say ‘SIT!’, throw them a treat and praise them. Most dogs now try all sorts of behaviors hoping to win another treat. You must ignore them, patiently wait until the next time they sit and then mark the behavior with the command, treat and praise them again. What you’re doing is building in your puppy’s mind a link between them sitting and you saying the word ‘SIT!’ and them earning a reward. 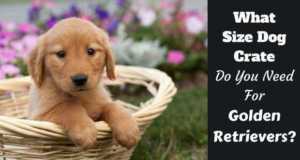 Golden Retrievers are very smart and it will take only a few repetitions before your puppy learns what’s going on. If your dog doesn’t manage a sit by the luring method and doesn’t offer the behavior to capture, you can VERY GENTLY physically coerce them into position. This isn’t the best of methods to use as nobody, human or dog, likes to be physically forced to do anything. But the praise and treat afterwards is high compensation and as soon as puppy twigs what’s going on, you can stop the coercion so you will not need to use it often. Have your puppy on your left hand side facing the same way as you, place your right hand on your puppy’s chest and your left hand underneath your puppy’s bum just above where his knee is. The action is to tuck your left hand underneath your puppy’s bum and slide it forward, while gently pushing up and back with your right hand so that you gently fold them into a sitting position. As soon as their bum hits the floor, say ‘SIT!’ and hold them there a couple of seconds. Then praise them heartily and give them a treat. DO NOT push straight down on your Goldens back trying to force them into a sit. This is potentially damaging to a puppy’s weak and developing hips. 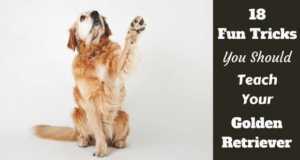 You should only have to perform this a few times before your puppy gets it and although they will not like being forced into position, as long as you praise and reward them well they will very quickly forgive and forget while learning the sit command. But please, try the other two methods first and foremost. Once your puppy has shown they understand the ‘SIT!’ command and reliably respond to it, you must start to phase out the food reward. 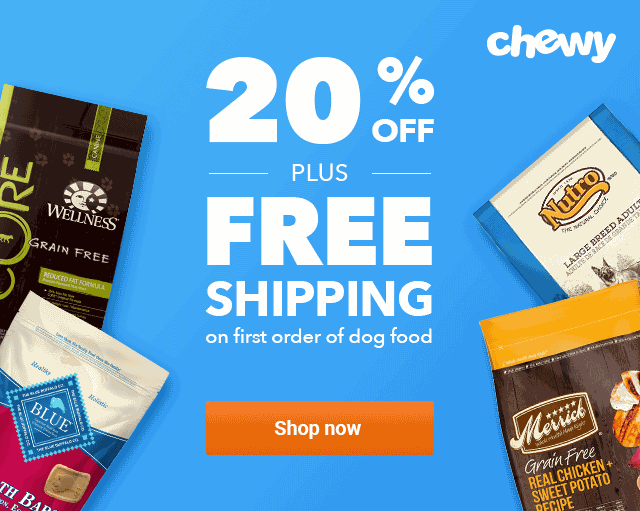 If you give a treat every single time you ask for a behavior, this sets up a bad situation where your dog will only perform commands when they know you have the treats and they can get one. You will be training other commands at the same time as sit (Like down and stay) so the first thing you want to do when phasing out food rewards is to ask for more in return for the same prize. Ask for a sit and a down (2 behaviors) before a reward. Then ask for a sit, a down and another sit (3 behaviors) before giving a reward. Your puppy is still being rewarded, but less often and for doing more. So your puppy doesn’t expect a food treat every time. Once they do a few things for a reward, you want to vary what reward they’re given and don’t just give them a food treat each time but only occasionally. Anything your puppy loves can be used as a reward for positive reinforcement. For instance praise and affection, a belly rub, a favorite toy or a game of tug, perhaps a short time outside for a couple of minutes. As you continue training the same commands, reward with food treats less and less, and use non-food treats more and more. Eventually you want to reach a point where reward is truly random. Sometimes after 3 behaviors, sometimes after 6, sometimes it’s food, sometimes it’s play. This keeps your puppy guessing and they love the gamble, working to see what they will earn and when. As explained in my ‘introduction to obedience training‘, dogs don’t generalize well. This means they find it hard to apply something they’ve learnt in one situation to any other situation. Just because your dog reliably responds to a sit command learnt in your kitchen with no distractions, doesn’t mean they will respond at all to a sit command down the park with 4 dogs running around. So when your Golden Retriever can reliably sit on cue when at home, your work is far from finished. You now have to go through progressively more difficulty to ‘proof’ the training until they reliably respond in any situation. Do this by taking and repeating the training from the very first step in different locations. Then add further difficulty by asking for longer sits and increasing the distance they must remain sitting while you walk away. Finally, add distractions such as noises, children playing and other animals nearby. When your dog can sit in any location close to any distractions, then you truly have a dog that’s been trained the sit command. You can practice ‘sit’ (and indeed many other commands) at any point during the day without having to schedule in structured training sessions. You can ask your dog to sit before you give them their dinner, put on a leash before going for a walk or give them a chew toy. There are many little opportunities that present themselves where you can practice the command throughout the day. Secondly, please do not shout at or punish your puppy if they get things wrong, don’t seem interested or just aren’t getting it that day. Perhaps they have too much energy and need tiring out, or the opposite and are just too tired and need a nap. Simply smile, move on and try again later. Punishment achieves nothing. The final tip is to try to get your whole family involved. Training helps create a special bond and relationship between a trainer and dog that everybody in the home should strive to create. But please have your family members read this same article and practice the same techniques. It’s no use people using different commands and different methods as this will just leave your dog confused. They need a certain level of consistency to succeed and shine. The sit command is a very good place to start your obedience training journey. It’s easy and quick for your puppy to learn and not at all demanding on you as a trainer. It’s a nice gentle way for you both to begin with that’s easy to score wins in. I hope this article has proven useful! I’m sure if you follow the techniques described your Golden Retriever will be trained to sit in no time. Previous: How Much Water Does A Golden Retriever Need?